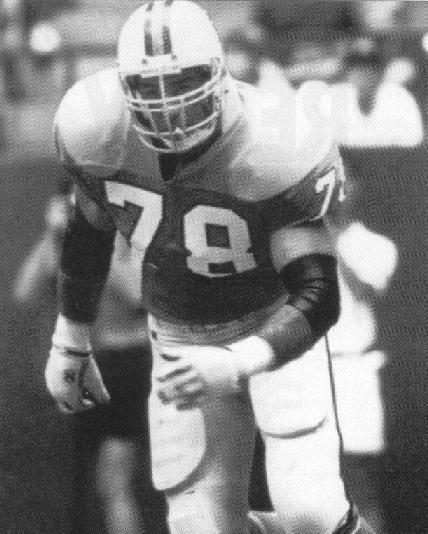 One of the most popular Buccaneer players ever during his nine seasons on the defensive line playing both tackle and end and was a solid dependable lineman throughout his career. Was a regular starter for four seasons and although he only posted big sack numbers in his first three seasons, did a reasonable enough job against the pass and run. He was always one of the first to contribute in charity work whilst a Buccaneer and ranked in the top 10 in games played when he retired.